High Velocity™ Automatic Retractable Awnings are designed to provide shade from the sun and an inviting experience over a deck or patio on your home. 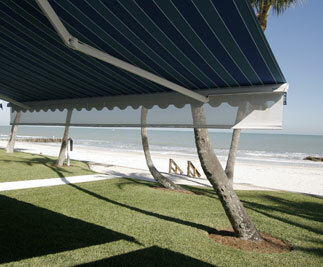 Retractable awnings are widely known for having superior sun blocking benefits for outdoor spaces. 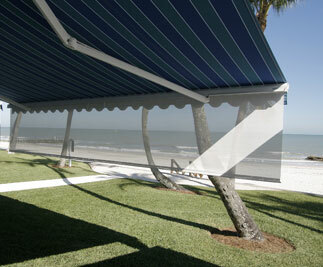 At High Velocity™, we know that to truly take your experience outdoors to the next level, awnings must be motorized. Motorization trasforms your typical experience because it makes your awnings so easy to use, which ultimately means that you’ll use them more frequently and in different ways. In addition, a high quality retractable awning will also keep you dry in a light rain, reduce heat gain in your house, reduce annoying glare, stop interior fabric fading and make your deck or patio a cool, comfortable place to relax. Create a comfortable outdoors space that you’ll use more often. Extend your living space and create the ultimate deck you will enjoy year round. Preserve you interior furnishings from the damaging effects of the sun. 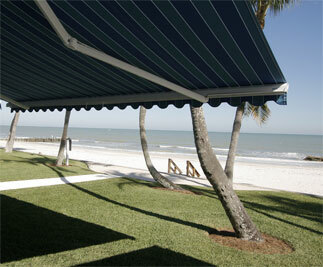 Safeguard your awning by eliminating the wear and tear associated with manual operation. Add sensors to automatically retract the awning in high winds. 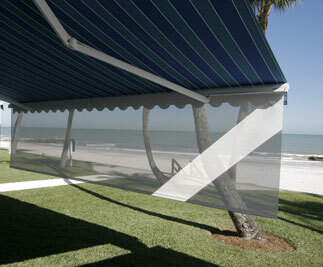 Simplify your life by eliminating the need to manually operate your awning with a crank. Live smarter by insulating doors and windows from heat gain while lowering your energy bills. Save time and spend it in more enjoyable ways…every day. Motorized awnings are available in a variety of weatherproof fabrics to suit your style and enhance the exterior appearance of your home. Contact our Naples Florida headquarters, High Velocity™ Category 5® Hurricane Systems, at 239-403-2650 or visit our showroom at 3827 Progress Ave. in Naples, FL. You can find directions here.